Welcome to my exclusively Film Patreon! How dos this differ from my main Patreon? Simple! This Patreon is update only, and exclusively for fully finished animated films! The reason for this Patreon is because as you guys prolly know, I don’t make any money on the fan-animated song films I make! Which is honestly totally fair, the money made from those videos goes to the owner of the music used, which I’m happy for! But I figured if you guys want to keep seeing them, and support me making them-but you don’t want to give monthly, or for anything OTHER then just the creation of more 2D films, for this Patreon you will only be charged when I FULLY finish a full color animated film! So you can toss a dollar or two, or whatever you feel my animations are worth! 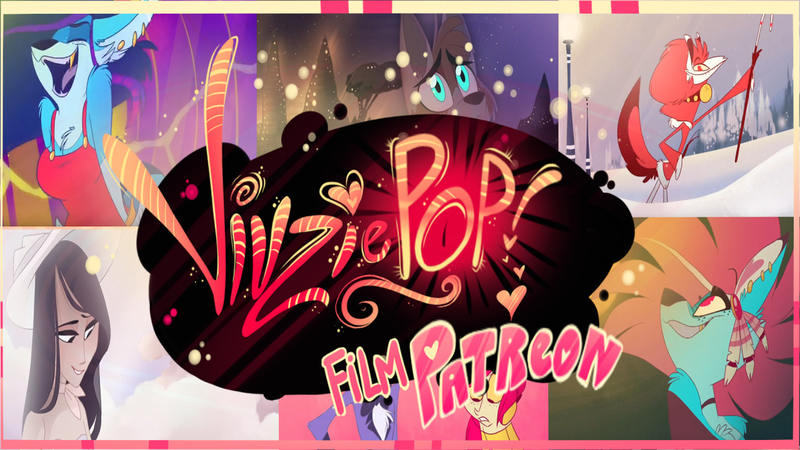 I’m not expecting this patreon to get really big, but every lil bit helps, and I’d love to keep making these short fan-song films, they are really fun! Thanks so much for watching, and supporting my work! If you want to see more of the behind the scenes and production of my art or these films, you can check out my main Patreon here! Thank you for supporting my creation of 2D animated shorts! You get to see the film a week before it is released online!